Russia urges Iran to freeze its uranium enrichment program following reports that Tehran is going to upgrade its nuclear technology, but points out the new technology falls within the guidelines imposed on the country by the international community. ­Tehran has notified the International Atomic Energy Agency (IAEA) in a letter that it plans to install new centrifuges at the Natanz site in central Iran, according to an anonymous source at the UN nuclear watchdog. “We were told by the IAEA that they (the Iranians) will install next generation centrifuges,” Foreign Minister Sergey Lavrov told reporters in Moscow on Thursday. “However, (Iran) is doing everything in line with their commitments under the Safeguards Agreement." The Safeguards Agreement, which was signed between the IAEA and Iran in 1974, sets forth the parameters for Tehran's nuclear activity. Iran presently enriches uranium to 20 percent concentration – enough to power nuclear reactors and medical research, but far below the level needed for nuclear weapons. The Foreign Ministry says Iran is obliged to halt enrichment work during the negotiation process. "The IAEA has been notified, and the IAEA will be there and will supervise this, but I'd like to repeat that this is a legal aspect of the matter, while the political aspect is that we, along with the other Security Council members, have called on Iran to freeze enrichment operations during the negotiations," Lavrov emphasized. 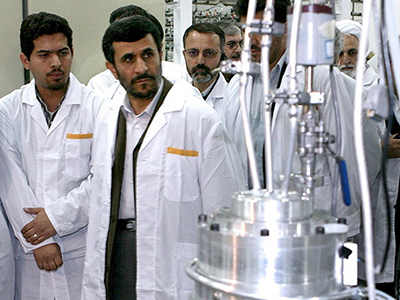 Some analysts have suggested that information regarding updated centrifuges is an effort on the part of the government of Iranian President Mahmoud Ahmadinejad to force international mediators back to the negotiating table. Indeed, the news that Tehran is introducing new centrifuges comes at a time when efforts to open a new round of talks between Iran and the “sextet” of international mediators – Britain, China, France, Russia, the United States and Germany – have failed to materialize. In June, Iran met with the group, referred to as P5+1, for talks in Moscow. Since then, there has been little action on the diplomatic front. Meanwhile, the United States, Israel and some of their allies accuse Tehran of pursuing a nuclear weapons program. Iran vehemently denies the charges, arguing it is legally entitled to develop and acquire nuclear technology for peaceful civilian purposes. Russia has advocated the need to bring international mediators back to the negotiating table as soon as possible. 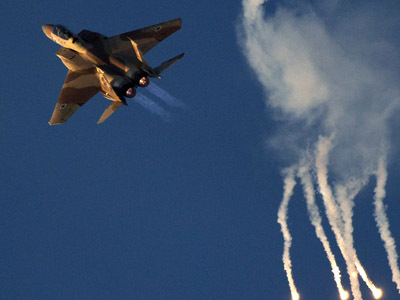 On Wednesday, tensions between Israel and Iran intensified when it was reported that Israeli fighter jets bombed a military research center in the Syrian town of Jamraya, northwest of Damascus. 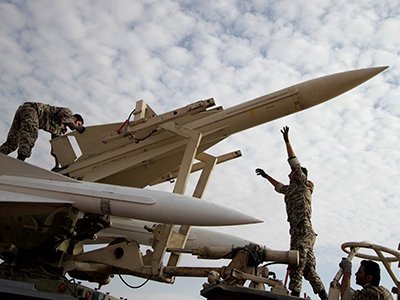 Iran has threatened Israel, warning there would be “serious consequences” over the reported attack. Russia said on Thursday that any such action, if confirmed, would amount to unacceptable military interference in Syria, where the government of President Bashar Assad is struggling to maintain power against a militant opposition. 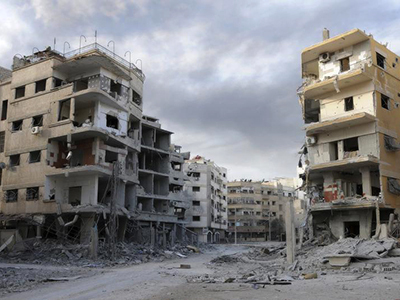 "If this information is confirmed, then we are dealing with unprovoked attacks on targets on the territory of a sovereign country, which blatantly violates the UN Charter and is unacceptable, no matter the motives to justify it," the Russian Foreign Ministry said in a statement.